If you are in an emergency situation where your life and/or the life of another or others is in danger then we urge you to call your emergency number – don’t hesitate. European mainland & all islands 112 – from both mobile phones and land lines.This also includes the United Kingdom and the Republic of Ireland who also use 999 for emergency numbers. Gibraltar 190 – fire and ambulance only. Republic of Ireland 999 – Also Coastguard and cave and mountain rescue. South Korea 112 – 02112 from mobile phones. United Kingdom 999 – Also coastguard and air / sea rescue services. 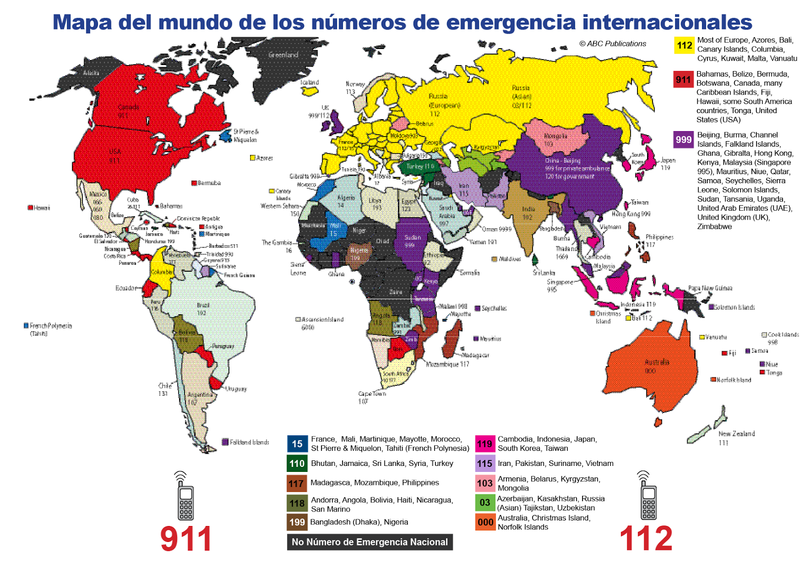 Please note: this could never be a complete list of all the emergency numbers around the world. The numbers listed are current to our best knowledge and belief. If you wish to suggest an amendment or addition to the list please let us know.